"we wanted to sell our home until you removed bats from our house. Your companys profesionalism exceeded our expectations." "Thank you for making our problem with bats in our home so important to your company"
"This is the first year that we have not had any bats in our home"
Bat houses are used to keep bats around and an imediate place to roost when bat removal services have been provided. The bat house is made with quality cedar mounted into the ground on a treated base. This set up will last a long time. 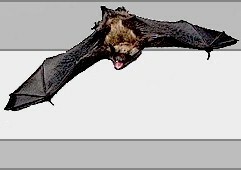 Bat guano removal is very important to provide a safe living environment from the diseases that bat guano may harbor. Guano removal will also help keep the value of the home. Pro bat exclusion could make up the difference of pain in the neck bats coming back to your home and detecting their path back inwards. Referral services for expert bat removal providers. Select the LISTING INQUIRIES link to read more on signing up with our inernet page to expand your bat removal service. VaMoose Varmint will furnish an extended guarantee for a home that bats were forced out and excluded after the first guarantee has ran out. We're here to hold your concerns in your house by keeping the bats away. Enquire about our extended guarantee plan and we could supply particulars for protecting your dwelling.